This is our new Daily Idea Alert – we will pick properties from different locations at different price points, please contact us if you wish to know more about each property or location. 1. Nice community, very quiet and lots of families. 3. Nice sized rooms, 1 story, roof replaced in 2016. I have sold several properties in this community (assigned to Mary Jo Sheppard), I personally like the community across the Debbie Ln as this area has a large part assigned to mobile parks. 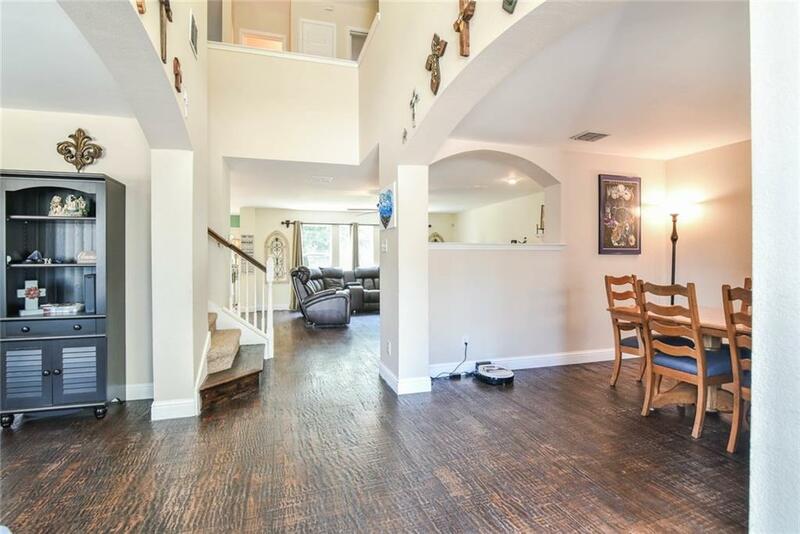 This property has a more interesting layout that it has a large area upstairs, downstairs is a long shaped design. It only lasted for 2 days and already received multiple offer, this is a very popular type of property for investors and small families. If this does come back to market, then you can consider it. Any property around $150,000 in DFW area usually last just 1 to 3 days if the condition is good. Schools are okay in this area, but Mesquite ISD has better schools but those properties tend to be higher priced. 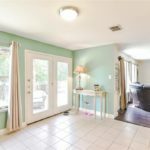 This property went through some updates including painting, some kitchen update. Mesquite is a popular area for rentals, but requires City to pass inspection prior to issue of Certificate of Occupancy. Properties typically get sold within 3 to 5 days in Mesquite if condition is good. Real estate is similar to funds, seeking growth (capital appreciation), rental yield or a balanced investor. Investors mix their assets according to their goals and asset allocation strategy. We specialize in helping investors in creating their portfolios in U.S. assets – our approach mixes assets, and balance the risk. I have several investors who are yield chasers – and I had told them that they should not just focus on yield. Before I became a realtor, I was a REIT analyst, and I was helping clients building their portfolio through REITs. High yield REITs are often associated with higher risk such as vacancy, tenant portfolio and lease terms. Let’s exam on Pros & Cons of a yield investor, and let me using an example to illustrate my points. My client runs a syndicate – and they want to achieve high yield through real estate portfolio. Overcrowding – low quality tenants tend to sub-let or invite others to stay, and a 2 bedroom property ended up with 8 people living inside – and it was a mess when they moved out / evicted. Bad neighborhood – high crime rate, HVAC was stolen, cars were smashed. No home owners – this is an issue a lot of investors have neglected. You could end up in an area where it is 100% owned by investors, tenants are changing all the time, and then the area would deteriorate further and further. My client invested in a duplex once – the whole entire neighborhood had 20 to 30 duplexes, they are completely owned by investors, and this area had a lot of issues in finding good tenants, and worst, keeping good tenants. The neighborhood across this particular area is a mixed area – with around 50% of home owners and 50% as investment properties. They were able to charge much higher rent, and also appreciate much more. Similar to stockmarket – investors should mix with Blue Chips and “Green Chips”. I use the same analogy when I was a fund manager – you go for a stock that has dividend appreciation, but not necessary the higher yield, but in time, dividend will continue to increase, and when you hold it for term, you get much better return than high yield stock. This is an interesting range – I have personally own properties in this price range. I was lucky that my tenants had been good tenants, but you can see the difference when you are listing for new tenant. You tend to get lots of inquiries, but you will get a very large volume of Section 8 tenants, and many tenants that have credit issues and who want to “work out a deal” with you. This is what they will often say “Can I call you and discuss my situation”? Last month, I listed out a property, market price for that property is $110,000, and I listed it at $1200 for rent, I received over 30 inquiries in first 2 weeks. It sounds good, but more than 50% have credit issues or “want to work out a deal with me”, it was a very time consuming exercise – and majority of them refuse to pay application fee for me to run their tenant screen. We ended up leasing to a young couple, who are self employed, and honest and upfront, the lesson here is “More is not really better” when comes to tenant inquiry – you want quality prospects than lots of useless inquiries. Best Price Range (Balanced Approach). In Dallas market – I see properties around $160,000 to $240,000 that match with these criteria. You get average from $1500 to $1,900 a month in this price range, and able to increase rent each year, and more importantly, you find much better quality tenants who have stable jobs, or just relocate here, and able to pay rent on time. These tenants also have “pride and responsibility” that they tend to keep their properties clean. A good example is when I listed a property just purchased by my client, he paid $190,000 for the property and I leased it out at $1750 a month. I had about 10 inquiries, and 2 of them really liked the property – one proposed more security deposit, one proposed to pay rent upfront (as they just sold their home). You will hardly see this kind of prospects when you deal with tenants in lower-side of rent. In the end, my client chose the full year rent upfront client. This is an interesting range to choose from. One example was I bought a property for my client, she paid $230,000 and put in $5000 in renovation. At $2,000 range, it was uncertain if she can attract many interests as it is Thanksgiving time. What kind of tenants did we attract at this price range? We received 10 inquiries as well – and about 50% of them just sold their homes, and not sure where to move to next, so they have decided to rent, some had sold their homes and decided to downsize, and we also had several families to Dallas. 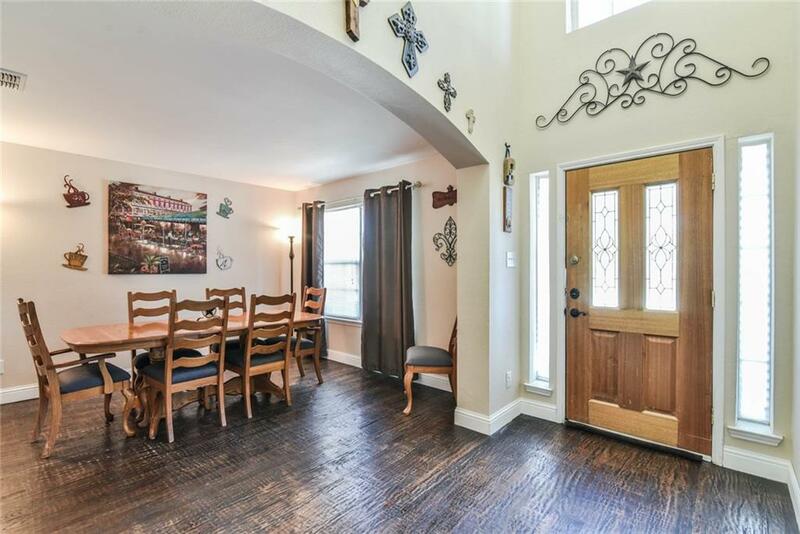 There is no shortage of tenants looking for properties at this price range in Dallas, most of them are very used to living in big space, majority of them had lived in homes above 3,000 sqft in the past, so they are not going to compromise their lifestyle into the 2nd category we mentioned above ($1700 to $1900 range). One advantage in investing in this type of property is these homes tend to be larger in size (2000 to 2500 sqft), which gives them more potential to appreciate, they are often 4 bedrooms, many also come with study, and they are often located in really nice subdivisions in good school districts and neighborhoods – these homes are easier for resale in future because of location and layout. The difference in rent between $250,000 and $350,000 home are not much different. Properties priced above $300,000 are more for appreciation rather than rental yield. We sold several homes around $300,000 range to investors last year, and they were able to achieve $2200 to $2400 in rent, the yield dropped to around 7% gross, however, these properties do appreciate well, on average, they appreciate at 2% more per year than smaller properties. These properties are what we consider as blue chip properties, these properties are often situated in highly desirable neighborhoods with large percentage of households home owners. 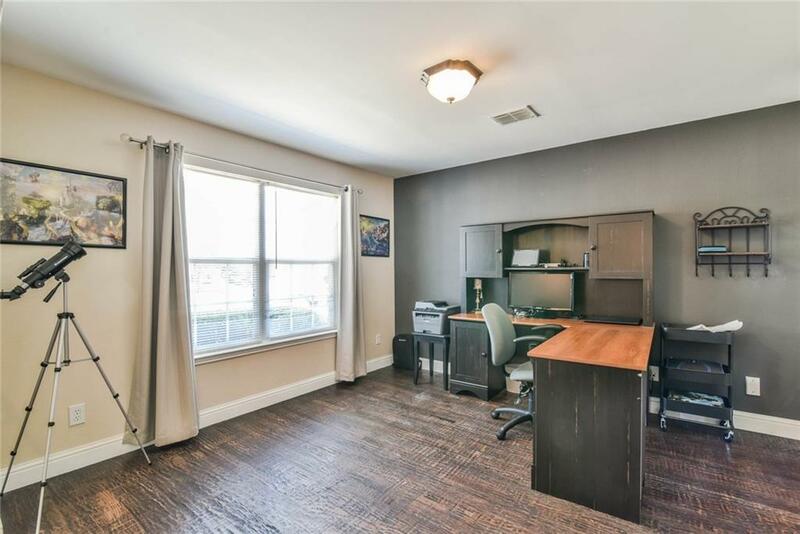 I didn’t have too much trouble finding good tenants even though inquiry level was much lower, with many inquiries seeking for 6 months short term leases. 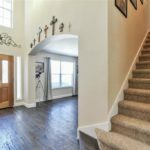 Where our clients are buying in DFW Metroplex? We had several new clients that are investing actively in Dallas area and here is a summary of our team’s activities for September /October 2017. This client bought 2 properties this month, he purchased a nice home in Allen, it’s a 3 bedroom and 2 bathroom, with hardwood flooring, attending Allen ISD. His investment goal was for 2 purposes – for appreciation and also as part of his 1031 Exchange. 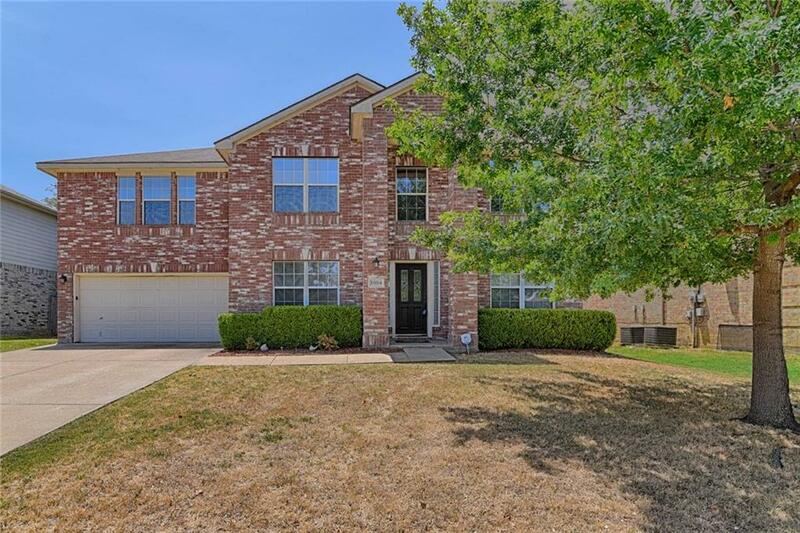 He picked this property as current price for Allen area is still cheaper than Plano and Frisco, and there is a trend that Allen will be catching up to the price level in Plano and Frisco very soon. This client bought several properties over past 18 months already. This time, she bought into a property in Mansfield, price was around $200,000 and rent was $1800 a month, this is a 4 bedroom, 2 bathroom property. 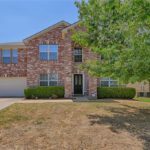 This area has very high rental demand as elementary schools in this area is highly rated, and with a lot of new companies expanding in Mansfield, Fort Worth, Arlington and Grand Prairie areas, it is very popular area for families relocating to here. This client bought in an area called Mira Lagos subdivision. Mira Lagos subdivision is a beautiful subdivision near lake, and this area is assigned to award winning schools in Mansfield ISD. The elementary school and middle school are all within walking distance. Many homes here are sold over $300,000 or $400,000, my clients are investing in properties that are around $200,000 to $250,000, and this is often approx. 2,000 sqft, 4 bedrooms. We had been lucky to able to find a property for this client to buy, she had been looking at this area for over 7 months and finally bought one. This Canadian client is a very active client, and we had been helping him buying properties across Dallas. He bought a property in Frisco. 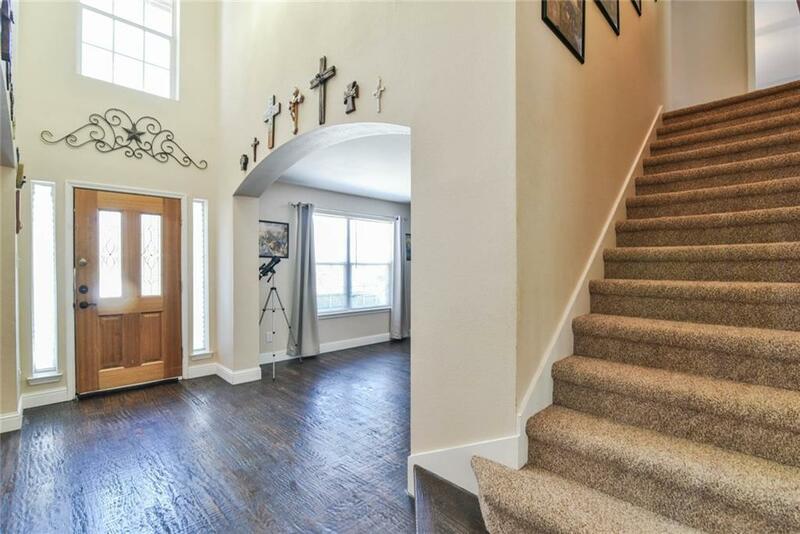 The property had multiple offers which is very common for Frisco, although he offered higher price initially, after inspection, I was able to go through several rounds of negotiations, and in the end, we were able to agree to lower price a lot because of timing pressure on sellers. This is an important strategy when negotiating with a seller, to understand why they are selling if they are under pressure to meet a certain closing date. Once they moved out furniture, condition of property is much better than what we had expected, the foundation issue was only a minor issue, it is close to Preston Rd, and easy access to both Plano and Frisco, it is a rare opportunity to find a property under $250,000 in Frisco. Tagged Where our clients are buying in DFW Metroplex? This is an interesting case study for other investors to consider – this property is located in Mansfield location attending Ponder Elementary, in fact, the school is right across this property. It is a 1900 sqft home, and the biggest advantage is it has 3 full bathrooms. The layout is really, the 4th bedroom has a full bathroom inside – it’s basically a guest suite. It is rare to find a 3 bathroom property even for larger homes these days. 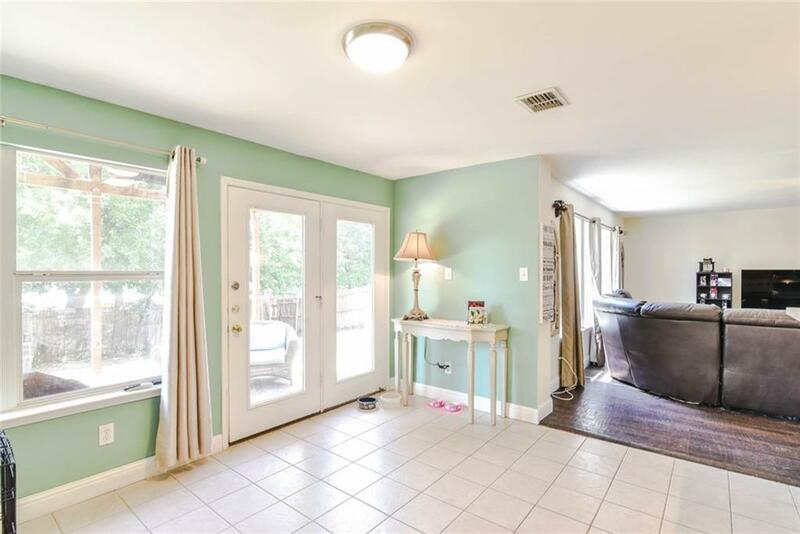 We have just finished renovation to the property, we replaced living room carpet with laminate floors, and we also replaced kitchen vinyl areas with laminate floors, the transformation was really nice, with a fresh look. Property was purchased below $200,000 in total and rent was $1800 a month. We sold 3 homes in Burleson in August. The first one was sold at around $150,000, it is a around 1400 sqft, built in 1970s, it was really well kept, and previous owner changed all the windows to energy efficient windows. The yard was really nice, and we had to cut back some tree limbs as they were overgrowing, overall, it is a nice and well established neighborhood, and we were fortunate to rent this property out at $1490 within a week to a young couple. We didn’t need to do much improvements for our client, it was just some touch ups, steam clean carpet and changed some HVAC components to improve efficiency. This is an interesting project, it was priced below market price, but it needed a lot of works. When we first inspected the property, we predicted potential foundation issues, so we arranged sewer line inspection from plumber. Interestingly, the sewer line was replaced by one of previous owners and current seller has no idea that this was replaced, so only a small section needed to be repaired, as it was damaged by tree roots. Big tree in the front yard was removed subsequently to prevent further damages to sewer line. The rest of updates were mainly cosmetics, we repainted the whole house, changed light fixtures for living room and kitchen, and changed flooring in some areas. We did find a tenant paying $1750 a month to lease this property, he signed 3 year lease with my client. Dallas is booming, you will hear that in the news all the time, this city is growing in an unprecedented rate, with families moving here on daily basis. Real estate investors also love Dallas, and Dallas has been the most popular destination for real estate investors for many years. Our team is highly focused in helping investors, more than 90% of our transactions were helping investors to purchase in Dallas-Fort Worth Metroplex, here is a summary of where our investors had been buying over past 2 years. Plano is a popular area because lots of people already know about Plano. Rental wise, it’s probably not the best area as it has appreciated a lot, but it has many strategic advantages – consistent growth, excellent school rating, ever growing number of companies moving to Plano, increasing employment opportunities and convenience will make Plano continue to be a very popular choice for real estate. Our clients are buying in both West and East Plano areas, East Plano is a much older side, and its valuation is slower than West side of Plano. Schools in Plano are now catching up to the Westside, and many financial headquarters especially insurance and technology companies are expanding in East Plano, this is making East Plano a very popular place to invest. Most properties in East Plano were built in 1960s to 1980s, some of them require major renovations, including foundation repairs, and new HVAC systems. Frisco is another example of North Texas success, its population increased tenfolds last decade. Frisco is a major area with hundreds of headquarters, my clients are impressed by the growth everytime I drive them to see all the developments happening around and they all want to buy a property there. It is an area mostly for capital growth, as rental growth is not catching up to the appreciation. I had warned several investors this year that they would need to look elsewhere if they are looking for rental yield. Despite of the strong growth, I still like Frisco a lot, and see further potential as more companies are setting up over there, and its IT & Network infrastructure is well planned for future expansions. Garland is a mixed city where you can find properties from $70,000 to $500,000. We are more focused in finding opportunities between $150,000 to $200,000 range. These homes are decent homes, some even have 4 bedrooms, and some have 3 bathrooms. Garland ISD is an interesting ISD, where it is not assigned to a particular school, residents can attend any school within the area. Several areas of Garland also attend Richardson ISD, these properties are the most popular properties in the Garland area. My clients tend to focus on properties near Firewheel Mall, which is the center of Garland with easy access to all employment centers and schools. 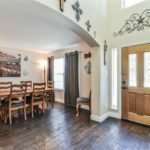 We generally don’t like properties under $150,000 in Garland as they tend to be areas where you have more problems, and we also stay away from properties that underwent layout or structural conversions – such as converting garage into bedroom, adding 2nd story or adding extra sunroom at back of the property. Mesquite has many choices for clients at different price range, it also has very strong rental base, which is why it is very popular for investors. We have sold at least 30 homes in Mesquite and we never had issues in finding tenant for the area. 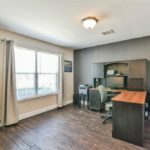 It is within short commuting distance to Dallas downtown, our tenants work in Downtown, Garland, Mesquite and even in Plano areas. City of Mesquite does have more stringent rental inspection criteria, you need to obtain Certificate of Occupancy prior to tenants move in, otherwise, the City may terminate their water. There are 2 parts of Rowlett, we have sold homes in the “mainland” area of Rowlett which borders Garland and within very short distance to Firewheel Mall, parts of these areas attend Garland ISD, another part attend Rowlett ISD. We found this area more convenient in terms of commuting, but choices are very limited as this is a very popular area for homeowners. The peninsula side is further east, which needs to cross a bridge to reach, properties over there tend to be larger, and often newer, and with lake fronts or lakeviews, many communities also have community facilities, but the commuting time will be increased by 10 to 20 minutes each way because of the travel time on bridge. The peninsula side has different school districts, in addition to Garland ISD and Rowlett ISD, some properties are also assigned to Rockwall ISD. Mansfield is now our top selling area for investors – Mansfield ISD is spread across several cities – Mansfield, Arlington and Grand Prairie. Mansfield ISD is a highly recognized school district and is a major magnet to attract new families. Mansfield is also centrally located to major employment centers including Arlington, Fort Worth and Irving / Airport areas, and it’s within 30 minutes commuting distance to downtown. Price range varies, we have sold homes from $145,000 to $240,000, with average price at around $200,000. At $200,000 range, you can buy a nice homes, mostly updated and often 4 bedroom homes already, and rental has been quite good in Mansfield too, rent ranges from $1600 to $1900 a month. Mansfield is divided into several areas – majority of elementary schools in Mansfield ISD are highly rated, their Great School rating is generally 8 out of 10 to 10 out of 10. We had been buying in selective Arlington areas, particularly those prestigious subdivisions attending Mansfield ISD. One area we like a lot is Southwind Subdivision, another area is just across the street called Harris Crossing. We also like Arlington ISD areas that bordering Mansfield ISD areas. Overall, you can find good valued properties in Arlington attending Mansfield ISD, we had just sold several properties in Arlington attending Morris and Davis elementary schools, these areas are very popular for investors and easy to rent out. Our focus are more in finding smaller homes instead of large mansions. One of our top selling areas is a subdivision called Mira Lagos, it is assigned to Mansfield ISD attending highly rated Cora Spencer Elementary School. Our team is now top selling agent in the area, this is an area that are in high demand from families, particularly professionals. Many families live here work for medical industries, schools, aerospace companies. The other subdivision we are focusing on is further north, which is also popular as they are about 10 minutes quicker to major employers in Grand Prairie areas, which are all along Highway 360, including Lockeed Martin which is expanding its workforce. We also like Cove at Peninsula which is an up-sacle neighborhood, but they do have a HOA limitation for rental properties. Fort Worth is a very big area, and so far, our focus have been focusing in Fort Worth areas that is attending Northwest ISD, but not too far west as that is too far from employment centers. The area our clients are buying are near Alliance Gateway, and close to Beach St. We found these areas quite desirable, and with many corporations moving to Fort Worth, many of them are expanding their operations along Alliance Gateway areas. You can still find opportunities under $200,000, but these are often 3 bedroom properties. 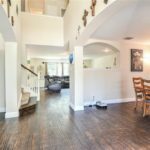 4 bedroom, 1-story property is the most popular style, and this has been what our clients have been seeking. Burleson is a new area where we had been selling a lot of properties recently. Burleson is between Mansfield and South Fort Worth, it’s location is centrally situated, families can go to work in Fort Worth, Arlington or Grand Prairie for equal distance of commuting time (within 30 minutes). Price range is also reasonable, you can get a nice home for $160,000. The homes we had sold in August in Burleson ranged from $140,000 to $160,000 range, and we leased them out from $1390 to $1600 a month. It is an area a lot of investors don’t know about it yet, it’s not a big city, so choices are often limited, but it is an interesting area to invest as there is a lot of families moving to the area. I went to check out 11 properties today – I have selected some for you. This is in Mansfield ISD – attending Mansfield ISD. This is Southwind Addition, one of the hottest areas in Mansfield ISD areas. Main Points: As some of you know, I had sold many homes in Southwind Addition, and this area continues to be my top selling area – I sold 6 properties in this area last 2 months, and I had leased out properties at $1750, $1820, $1850 range. Asking price is around $228,000 @ $120.13 per sq.ft, I thought this maybe a little bit high for a 3 bedroom homes, but this area is very high in demand. I am hoping to achieve similar rent as other ones I had listed which were in $1800 range on average. I think it maybe able to achieve a bit higher if it is converted into 4 bedrooms by adding a closet. This property has 3 bedrooms, 2 living areas. The 2nd living area can be potentially converted into a 4th bedroom which will increase the rentability. To do so, you add a closet to the 2nd living area, and it can be considered as 4th bedroom. Condition: Pretty Good, it is considered as move in condition. Flooring: Tiles & Carpets – I always recommend change carpets to timber flooring, they are much more durable and lasts much longer. Roof: Original (10 years old), this needs to be inspected. This summary will also be posted onto my website shortly, you can also visit my website www.myusasset.com for other information. Please find below our Daily Dallas Property Ideas – for those new to this list. We pick a Feature Property everyday, and you can also click on the LINK to see more ideas. Area: Popular area in East Plano area, many retail stores had moved here including H-Mart (Asian Grocery), Fiesta (Mexican) and it is close to State Far HQ, George Bush Turnpike – the area next to George Bush Turnkpike is now major hub for insurance HQs and IT companies. Condition: It is updated, but some parts of kitchen are not updated. Area: Star Crest Estate is an interesting area, it is becoming popular as Fire Wheel Mall has been expanding (Stage 2 and Stage 3), and this is also close to George Bush Turnpike. Property has been on market for 64 days, price is likely negotiable. Area: Moderate – medium rated area, convenient to highways and shopping centers. Condition: REO – needs updates inside, needs to check on foundation. Area: On mainland side, not on peninsula side, close to Miller Road and Rowlett Rd. NOTE: This is a REO property, it is not open to investors until First Look initiative expires. Please contact us if you are interested to know more about any of our property ideas. Realtor partners – please contact us if you have clients relocating or investing in Dallas Fort Worth markets, we love to work with you. PLEASE CONTACT US IF YOU DO NOT WISH TO RECEIVE ANYMORE EMAILS FROM US. The Australian Dream is kind of similar to American Dream, buy a house, raise a family and live a happy life! However, skyrocketing real estate price in Australia has prevented many Aussie families in building their Australian dream, and this is especially the case for younger generations where they are likely to rent for the rest of their life. It is a sad trend, and I had seen many if not most of my friends who are in 30s or 40s still unable to buy any property in Australia, those who had purchased are often under enormous mortgage burden. Building your Australian Dream in America is becoming a trend amongst many Australians. When I moved to the United States, I had been conducting surveys amongst clients and on social media, and find increasing number of Australians interested in buying U.S. properties even the current exchange rate is not as favorable as before. Many mentioned they “simply” want to buy a home for their kids, “at least my kids have some properties somewhere in the world”, and America is the best place to do this because of cultural similarity, stable economy, affordability amongst best factors to consider American properties for Australians. Indeed, I was quite amazed by how many contacts from Australia simply from my Blog as I hadn’t spent a lot of time in advertising and gets a lot of referrals from existing clients. On some days, I will receive random phone calls from Australia asking if I can help them to find properties in the U.S. I purposely plan my strategy amongst 3 main types of clients, so that I can cover and service different markets. Type 1: Foreign Home Buyers – this is increasing as many people are moving to U.S. whether for several years or on permanent basis. I get a lot of clients especially from Asia who are here as international students but “on mission” to buy houses, this is typically for them for 4 to 5 years, and if they get jobs, they will keep living there, if not, they will resell or rent them out as an rental home. This is certainly a growing trend as they can not afford a house at home country, and quality of living in the U.S. is far superior at a much lower cost. Type 2: Capital Growth Investors – I often advice my clients to consider both capital growth and income, this is same as building up a share portfolio. There are 2 ways to capitalize on capital growth opportunities in the U.S., the first one is obviously resell in future, at the moment, Dallas market is experiencing 8% to 10% growth rate each year, and as population continues to grow, some areas are anticipated to grow by 50% over next 3 to 4 years, and add additional rental income (yield), this is quite a possible target, as you can expect 16% to 18% growth combined. The 2nd strategy is even better which is to refinance and cash-out based on current value. Australian investors will know this strategy very well as it is something many Australians already know. By cashing out through refinancing – then use the cash-out funds to buy more properties. What I normally suggest my cliens is to allocate capital into capital growth areas such as Dallas, then utilize the capital growth to cash-out and buy income (higher yield) properties, we help our clients in mixing Texas and Ohio properties. Some areas in Dallas are also producing higher yield such as Mesquite, Dallas or Arlington areas, but faster growth areas like Plano and Richardson tend to have lower yield. Type 3: Income Seeking Investors – income is important for many of our investors. For Australian investors, they typically want to find cash yield opportunities above 10%, adding the potential growth and also investment return from exchange rate, as USD has been rising, this can add to quite a significant investment income over long term. With high yield seekers, we ask our clients to consider properties in Ohio as they can produce higher yield, albeit, capital appreciation is slower. With our experience in Ohio, we are able to identify investment opportunities with gross yield above 15%, some of these properties will require renovations to improve rentability to attract a long term stable tenant. A very important strategy to acquire properties in medium to better areas, even though some areas may have super-attractive yield like over 30%, you do not just chase the “highest yield” and get blinded by other facts. I personally like medium rated areas the best, they are in safe neighborhoods but schools may not be that great, but at least in safe areas, and we can typically attract renters without children, sometimes single occupants or older couples where they do not care about school district but willing to pay more rent and often sign multiple year lease. In our future articles, we will also continue to provide strategies how investors improve their property and rentability, and tips and traps about investing in the U.S.
Thomas Su is a licensed realtor and experienced investor in the United States, he specializes in helping international investors investing in the United States. Dallas is a super-hot market now and is likely to continue for many years even decades to come, this is why even though it is a seller’s market in Dallas now, investors continue to look for opportunities here – in this article, I will list 10 top reasons why you should consider an investment opportunity in Dallas. 1. Population Growth: There are hundreds of people moving to Dallas each day, the city (Dallas-Fort Worth) had been expanding non-stop for over a decade now, it is now ranked as either the 4th or 5th biggest city in the U.S., and soon, it will become the 3rd largest city in the U.S.
2. Jobs: There are jobs everywhere – Dallas has attracted more headquarters than any other cities in North America, the recent new HQ relocations include Toyota, FedEx, State Farm, Raytheon, Fujitsu, Hitachi and many unreported companies that have either relocated or expanding their new operations in Dallas as the new HQ for South / South East. 3. Housing Price: Despite of the rising in property price, Dallas remains affordable compared to other cities. $200,000 can get you a nice, decent home in good areas, $300,000 to $350,000, then you will have a ice 4 to 5 bedroom house with a swimming pool. There are also many areas where you can still buy properties under $150,000. 4. Education: Dallas in general has pretty good school systems – most areas have very good school districts especially North, North East, Western areas and some Eastern areas. South Dallas is known to be less affluent and has less attracrive school districts, but that’s also changing due to population growth and new funding has been allocated to to these areas. Put it simply, you can be in a good school district where home price is around $200,000, this is impossible for most other cities in North America or anywhere in the world. 5. Low Crime Rate: For a metropolis that is approaching 7 million (or maybe over already) people, the crime rate in Dallas is considered as very low. Most of crime activities are concentrated in certain pockets and not spread out into other areas. It is also safe to walk in most areas at night, and Dallas is rated as one of the best cities to raise family because of the low crime rate as well. 6. Diversity in Economy: Unlike other cities in Texas where energy is the main industry (Houston & San Antonio as examples), Dallas is not reliant on one particular industry. The industry diversification makes it unique as it attracts professionals from all different industries, the main growth industries in Dallas Fort Worth areas include heathcare, education, finance, real estate, telecommunications, semiconductors, aerospace, retail and transportation just to name a few. 7. Cultural Diversity: As DFW continues to grow, it is also becoming more cultural diverse. For someone like me who grew up in a multicultural cities (Sydney & Toronto), it’s important for me to see different cultures. I love the diversity here, Americans, Mexicans, South Americans, Asians and Europeans are all in one place and children are growing up exposing to different cultures. This is also a reason why many immigrants are moving to Dallas. 8. Mild Winter: While summer is not a best time to visit Dallas (very hot), winter is consisdered as very mile in North American standard. Many have moved to Dallas from colder climates such as mid-west, Chicago, Michigan and as far as Canada. Many Canadians have relocated to Dallas recently as they could not cope with the severe winter conditions in Canada. 9. Optimism: I think this is an important note to make. I had lived in more 10 cities in North America and across 6 cities in Australia. Dallasites (those live in Dallas) are very optimistic about their future and they believe the best time is ahead of them, and Texas will continue to grow and become the pivotal economy of North America. 10. Business Opportunities: There are many like myself who decided to move to Texas to start my own business. You can see lots of such entreprenuers in Dallas, many had relocated from California and start their own franchise here in Dallas, or those like me who had moved from another country to chase the Texan & American Dream in Dallas. Entreprenuers create job opportunities and wealth, which is why this is also an important element that will create demand in properties. These are the 10 factors why you should consider either moving to Dallas or investing in Dallas properties. Not only Dallas is increasing population, it is increasing population of professional workers and entreprenuers – the 2 types of people any city wants to attract. If you are interested in knowing more about Dallas properties, please contatc me for more details.